Newly constructed in 2005, Ramada Ocean Shores is conveniently located off Highway 115 on the Pacific Ocean in Ocean Shores, Washington. 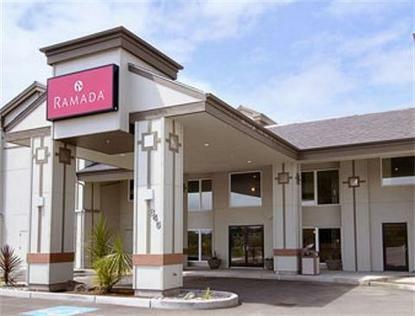 Our Ramada hotel is a full-service resort offering a variety of attractions to please the most junior and senior guests. Perhaps the most unique attraction at Ramada Ocean Shores is Captain Yarr's Indoor Water Park. While there is a fee to enjoy Captain Yarr's, Ramada guests enjoy half price privileges. We also feature the Ramada Day Spa and Naturally Yours Gift Shop onsite. Sure to please your palette, North Shore Grill is open for breakfast, lunch and dinner. Ramada Ocean Shores has 54 beautifully appointed rooms, many with ocean views. All our rooms have microwaves, refrigerators, upgraded amenities and coffee makers. Our hotel offers complimentary wireless internet to all guests. Looking for a unique and relaxing environment for your next meeting? Be sure to check out our beautifully appointed meeting room with full high speed internet access.